Ilovesharinfoo's thread made me wonder if we have a thread like that....couldn't find one, so I'm posting here. Last edited by Glider on Fri Jan 21, 2011 5:41 am, edited 1 time in total. Pretty tiny collection compared to most but I use them all, some more so than others. I'm glad there are a lot of guitar players pursuing technique as diligently as they possibly can, it leaves this whole other area open to people like me. 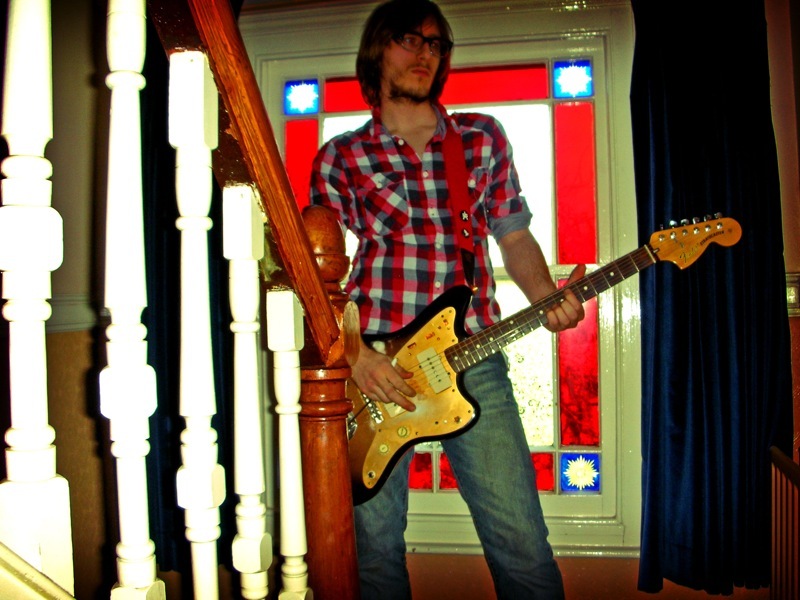 2009 Offset Guitars Fantasy Football Champion!!!!!!!! 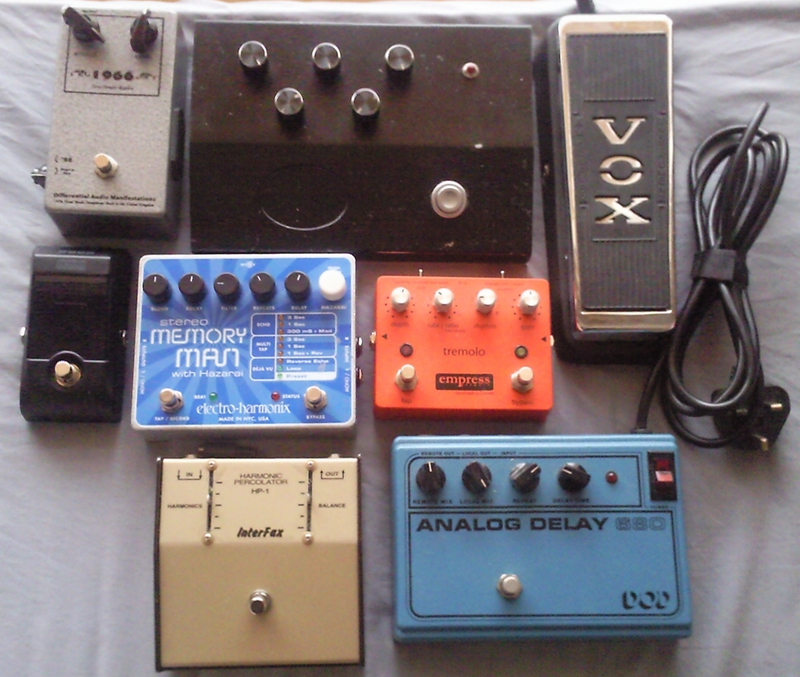 There's some doubling in the photo's but I dont have one shot of all my pedals. I no longer have the micro synth or fuzz factory. 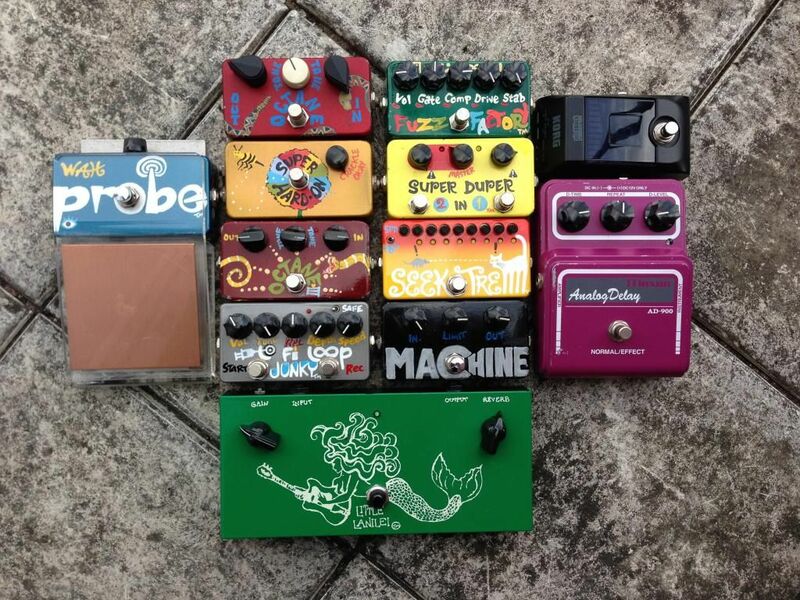 jj gabor, are you the guy who makes those pedals for mogwai? those look fantastic, love the huge knobs. Fairly modest compared to the nutters here . Bottom (not in everyday use): Pearl CO-0? Compressor; Aria ANG-1 Noise Gate; Shin-Ei Companion Fuzz-Wah. Last edited by Orang Goreng on Mon Jan 12, 2009 5:32 am, edited 1 time in total. Pretty weak collection compared to you guys. I've only been into pedals for about 8 months and only recently discovered boutique pedals. Dammit, all the cool kids have a DOD680 .. 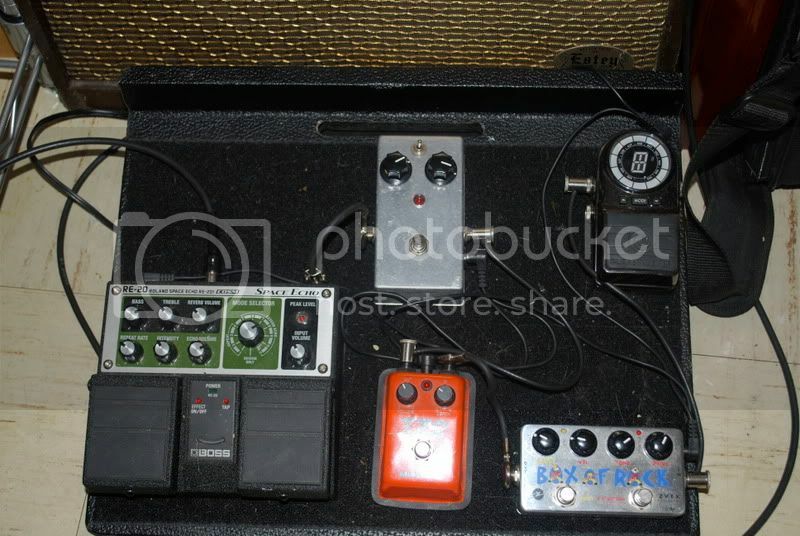 Planet Waves tuner, Vexter Box of Rock, Guyatone TZ-2, unnamed Phase 90/UniVibe clone, RE-20. 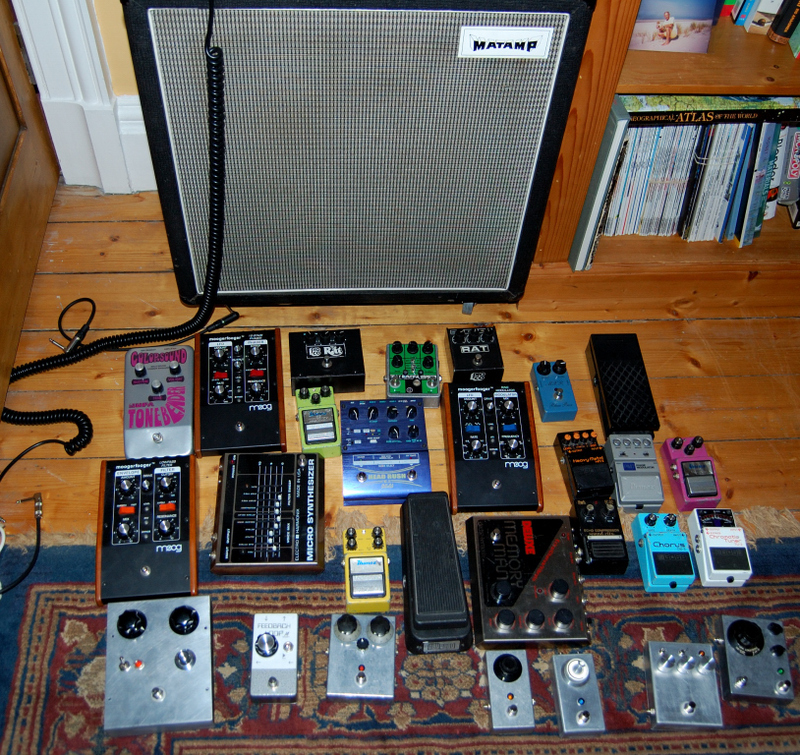 nealescott wrote: jj gabor, are you the guy who makes those pedals for mogwai? those look fantastic, love the huge knobs. Thanks, I have been buying up lots of old Radio knobs from the bay. I quite like the look of the silver boxes with big dial knobs. I don't make pedals for Mogwai, must be someone else.